The other day as I was driving home, I had one of those moments when I sort of “woke up,” not remembering the last mile or two. 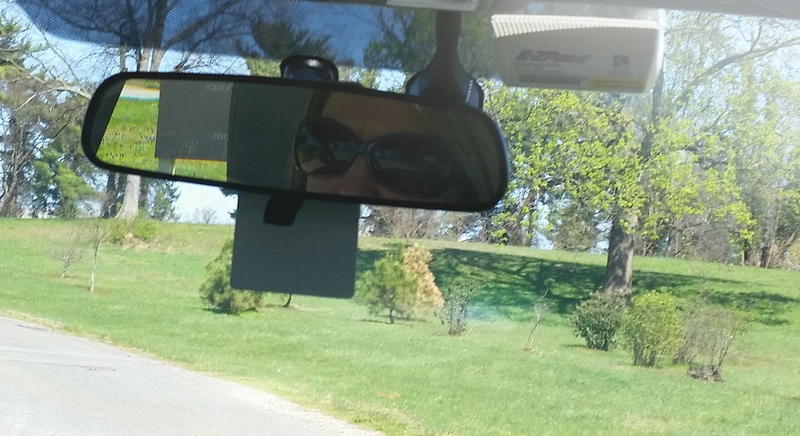 Occasionally I marvel at how I can keep driving ahead when looking in the rearview mirror. Other times, I am lost in thought, somewhere miles ahead of where I am. Sometimes it’s easier to get stuck: stuck looking back or stuck looking forward but never truly present in the moment. When I’m lost in rumination about where I’ve been or where I’m going, I’m snappy and short with those around me. I’m full of regret that I missed something important or worried about whatever’s ahead. I’m there in body but not present with those in the same room. This is by far one of my greatest challenges. I am a planner by nature. When I feel vulnerable, I like having something to look forward to. I anticipate needs, at work, at home, in my relationships. I make to-do lists, grocery lists, home improvement project lists. All of this angling to be prepared or ready for whatever’s next has served me well . . . mostly. But there are a lot of things in life for which I was not prepared and a lot ahead, I’m sure, that I cannot even imagine–both wonderful and woeful. So instead of drafting up the what’s next, I am working on living in the now, fully present. I want to show up for my own life. I don’t think this happens passively, though. I believe that my efforts and mindset must be intentionally focused in the present, fully engaged in the moment rather than a million miles away in my head. I want to live a full and heartful life as a result, one where my I put my strengths to work in a way that makes someone else’s life better.